More good news about indoor plants: Researchers at Washington State University found that indoor plants decreased stress of computer workers and improved productivity. 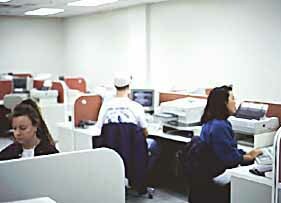 The study was conducted in a computer lab at Washington State University. Subjects were asked to participate in an experiment to measure stress levels in people using computers. They were randomly assigned to be tested in the computer lab when plants were absent or when they were present. In the room with plants, the interior plants were placed around the sides of the room. Then the blood pressure and emotions of subjects were monitored while they performed a slightly stressful computer task that measured reaction times in response to seeing and decoding the shape of a simple object on the screen. When plants were added to the lab, people were more productive (12% quicker reactions on the computer task) and less stressed (systolic blood pressure lower). They also reported feeling more attentive when the plants were present. Again, yet another study shows that adding a little “nature” to your indoor life can actually not only make your work space or living space more aethetically pleasing, it can also help you feel better and think more clearly! The research study was partially supported by the American Floral Endowment and the Horticultural Research Institute. Source: Lohr, V.I., C.H. Pearson-Mims, and G.K. Goodwin. 1996. 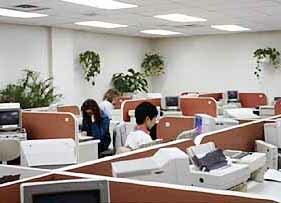 Interior plants may improve worker productivity and reduce stress in a windowless environment. J. of Environmental Horticulture 14(2):97-100. Great post. I’ve been looking for gift inspiration for people who work on computers and the internet all day. I look forward to finding more great content on this topic from your blog. Thanks for reading and commenting, Brianna! It would be wonderful if you could share some of the products you offer that can help my readers live a healthier lifestyle! Do you have any other categories that you’d like to see products in? We really try our best to have the most unique, quality items for others to find. Thanks so much for the helpful info! I will share this with my readers and clients. You’re very welcome! Please don’t hesitate to email me if you’re ever need anything of have any good gift ideas!